it's time for another dance legend beauty. nickel was my choice from the sahara crystal collection. 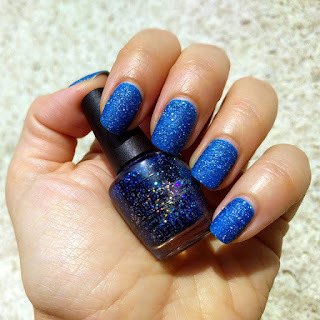 sahara crystal is a collection of highly sparkly textured polishes. i found nickel to be the most interesting shade. it really is strange. the shade is kind of a cold baby blue, with white gold/silvery sparkle. it looks like it just jumped out of frozen! even though it truly is a textured one, it is not as rough as you would expect. 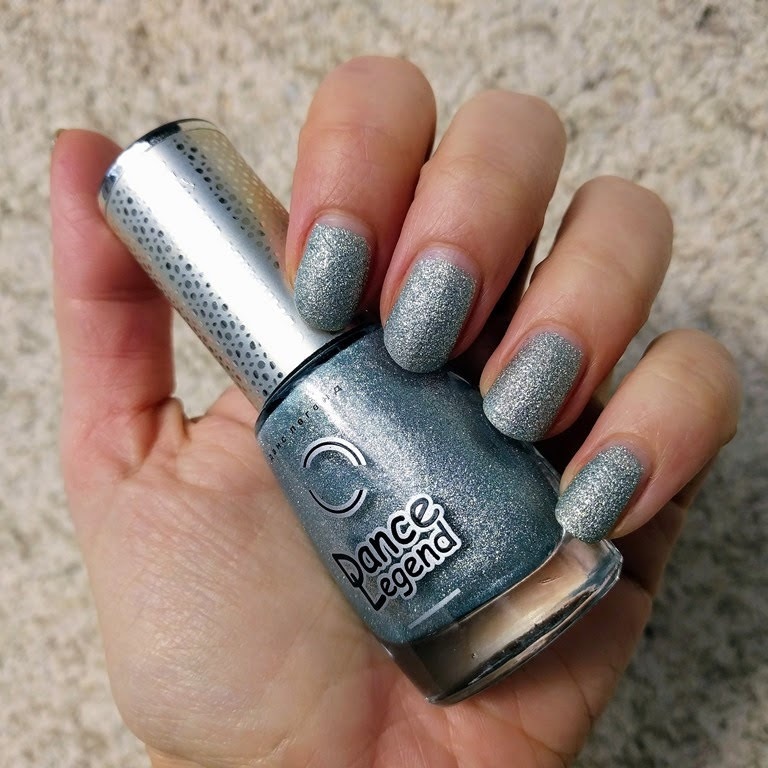 it truly is an unique polish and i love it. yup, i am still on the texture finish bandwagon. 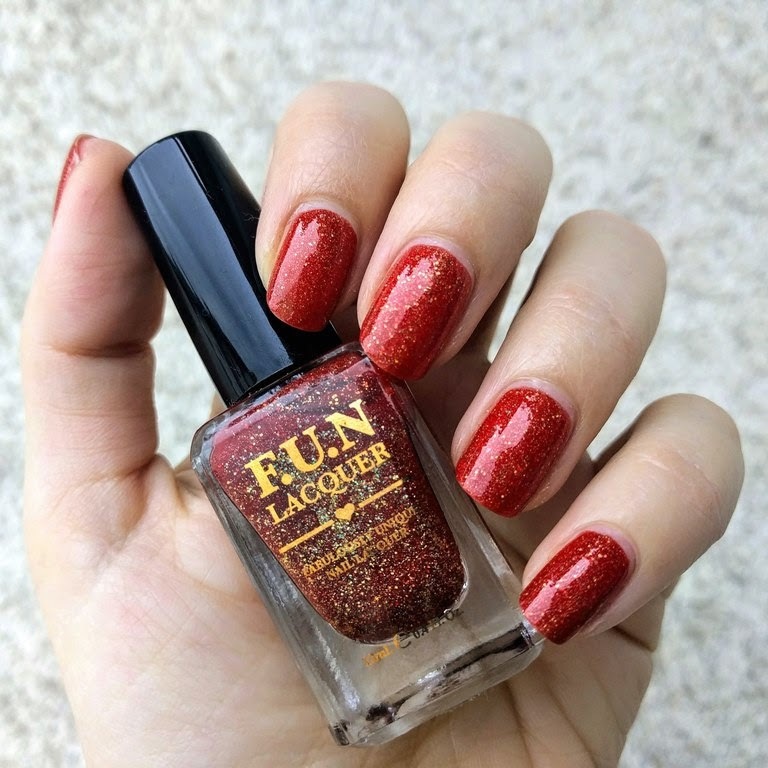 this one is an oldie, get your number from opi's limited mariah carey colection back in 2013. i already showed can't let go from the same collection. 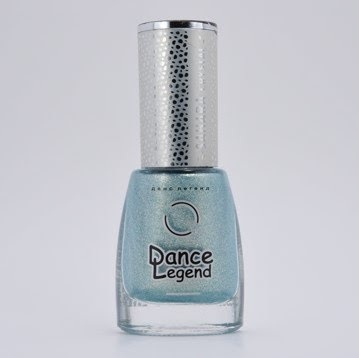 can't let go is a light blue jelly-like base fileld with various glitter. it dries gritty, with some holo bling as well.i wore it over picture polish alice, as i have only a mini bottle and used up pretty much all of it. i love fun lacquer polishes, they just look so rich and special. today i am going with seductive marmalade from summer 2015 collection. 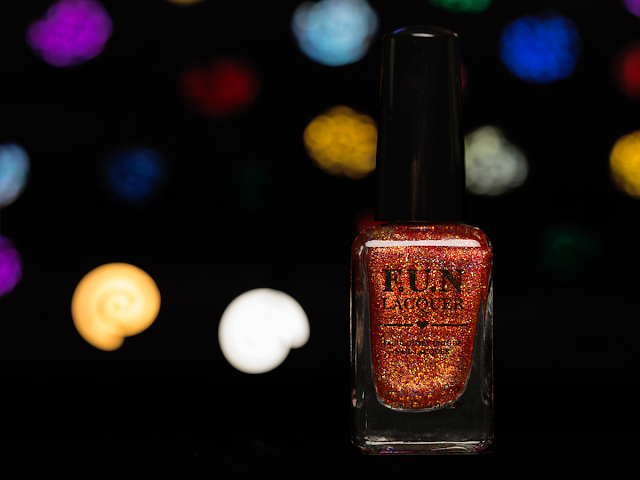 it is described as a juicy orange-red holographic polish with different sizes of micro gold holographic glitters throughout! and it sure is juicy, no doubt about that. 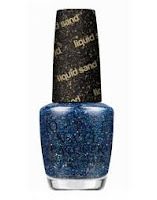 formula is decent and it dries smoothly, of course, with some help of my top coat.